They shared the greatest race in Ironman history 25 years ago, Mark Allen and Dave Scott came on Breakfast from Kona to talk about Iron War. There's lots of laughs now for these two fierce competitors. Hosted by Bob Babbitt. 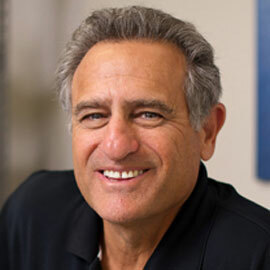 Bob Babbitt co-founded Competitor Magazine back in 1987. He created Competitor Radio in 1990, the Competitor Awards Gala in 1992, co-founded the Challenged Athletes Foundation in 1993, and the Muddy Buddy Ride and Run Series in 1999. For the past three decades he has worked diligently to create unique and successful properties, and to grow the world of endurance sports. Along the way he also created opportunities, excitement, and exposure for national brands, athletes and events. Babbitt Media Group (BMG) is his latest creation, but the goal is the same as it has been from the very beginning: Grow the world of endurance and create value for his partners.